RM Sotheby’s announced the most complete collection of special Porsche 911 Type 964 variants for its Amelia Island sale in Florida, USA, in March 2018. 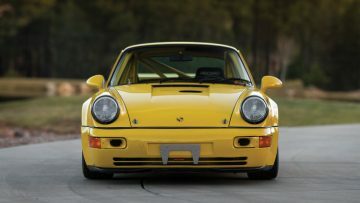 RM Sotheby’s will offer the “Exclusively Porsche – The 964 Collection” at its March 2018 Amelia Island classic car auction. This collection assembled by a single collector consists of eleven Type 964 (and one Type 930) Porsche 911s including a newer-raced Carrera RSR 3.8, a low-mileage Carrera RS 3.8, and a Turbo S Flachbau. These models are amongst the rare 911s that occasionally achieve million-dollar results at public auctions. 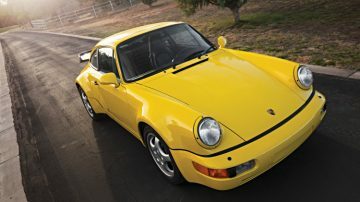 Most of the Porsche 911s in this collection are presented in striking yellow. RM Sotheby’s 20th annual Amelia Island classic car sale will be held on 10 March 2018 at the Ritz-Carlton, Amelia Island, Florida, USA. RM Sotheby’s is the official auction house of the Amelia Island Concours d’Elegance and will offer around 100 cars. 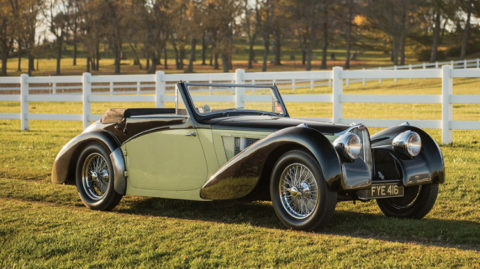 In 2017, RM Sotheby’s earned an Amelia Island record $70.9 million but in contrast to most years, a second auction day was held during which 63 cars from the Orin Smith collection were sold without reserve to earn a total of $31 million. The top result in 2017 was $7,700,000 paid for a 1937 Bugatti Type 57S Cabriolet with coachwork by Vanvooren. Among the first cars announced for the RM Sotheby’s Amelia Island 2018 sale are 12 Porsches in the aptly named “Exclusively Porsche – The 964 Collection”. This group of eleven Type 964s (and one 930) was assembled by a single collector, and avid Porsche enthusiast, over a decade and comprises the last of the truly hand-built Porsches, yet the first production models with coil-over suspensions, power steering, and ABS brakes. 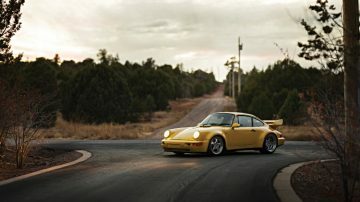 The collector also sought out the finest examples of all the 964 “specials”—high-performance cars either built or modified in limited quantities by Porsche’s Exclusive department. 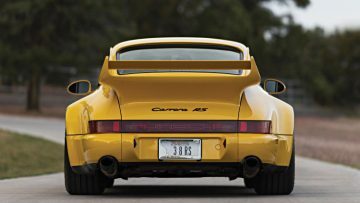 The 1993 Porsche 911 Carrera RSR 3.8 is an essentially brand-new, never raced car finished in very rare paint-to-sample Ferrari Yellow. One of just 45 built, it has recorded a mere 765 km on its odometer (Est. $1,200,000 – $1,400,000). 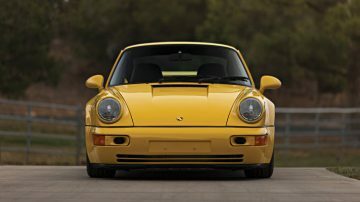 The 1993 Porsche 911 Carrera RS 3.8 is a one of 55 presented in mint condition with less than 7,000 km (Est. $1,250,000 – $1,500,000). The 1993 Porsche 911 Turbo S ‘Leichtbau’ is one of 86 built (Est. $1,000,000 – $1,200,000). The silver 1994 Porsche 911 Turbo S X83 ‘Flachbau’ one of the rarest production Porsches at just 10 ever built (Est. $500,000 – $650,000). 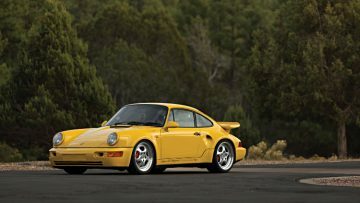 The yellow U.S.-production 1994 Porsche 911 Turbo S X85 ‘Flachbau’ is one of just 39 built (Est. $600,000 – $800,000). 1993 Porsche 911 Carrera RS America (Est. $200,000 – $250,000, offered without reserve) (silver). “The 964 Collection is without a doubt the most complete and best collection of limited-production Porsche 964s to ever come to public auction,” says Alexander Weaver, Car Specialist, RM Sotheby’s. Amelia Island is a good choice for selling Porsches with the German brand often performing well in auctions here. Gooding famously sold Jerry Seinfeld’s Porsche collection at Amelia Island in 2016 and also announced a private collection of 12 Porsches for its Amelia Island 2018 sale.